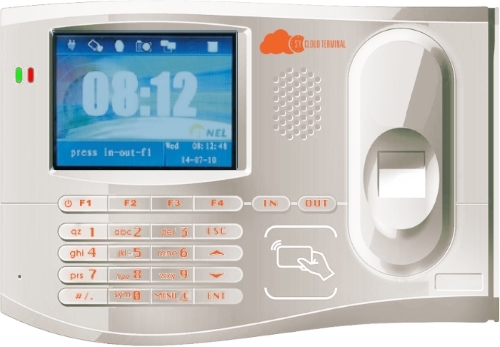 The SY-Cloud is the latest advanced terminal of Synel FP terminal that developed for cloud time and attendance terminals. The SY CLOUD based on Linux operating system with a biometric fingerprint reader and a graphic color screen. The SY CLOUD is a user-friendly and very easy to install and maintain. SY CLOUD TERMINAL designed for the Cloud environment and can be connected to a variety of networks in the organization and even to a direct internet line. The SY-Cloud designed for small to medium companies and for the cloud environment is Cost-effective solution. The SY-Cloud terminal is compatible with Synel Cloud software – Harmony Cloud.